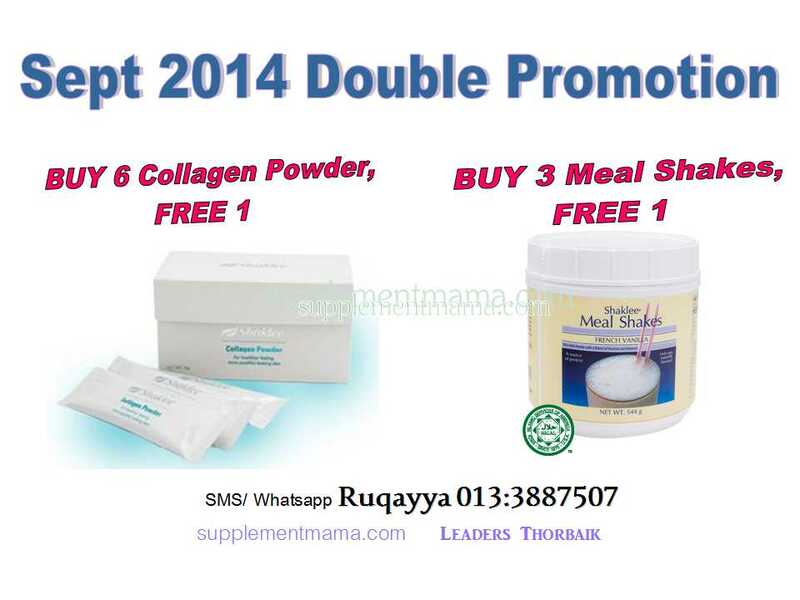 September 2014 is Shaklee Double Promotion! The worth buying ever. I don’t want to reveal how much you can get for each item but I can assure you it’s worth every cent! Whatsapp me 013:3887507 to get your Collagen Powder and Meal Shakes!